(2) that the typical introduction to psychology course does little or nothing to alter permanently the students’ misconceptions about human behavior and mental processes. He proposed that the best way to address both problems is to stop teaching massive amounts of traditional, but quickly forgotten, introductory psychology content. He suggested instead using only selected portions of that content in a course that uses active learning experiences to combat the illusions and misconceptions that so many students bring with them. He argued that this alternative course could provide valuable insights for non-psychology majors, give psychology majors a preview of courses to come, and promote everyone’s critical/scientific thinking skills. He proposed calling the course Myths and Illusions about Human Behavior in Everyday Life. (3) providing memorable examples of the impact of psychological science on everyday life. After the Bye-Bye Intro talk was adapted into a published journal article, APS offered to include on its website a set of lesson plans based on the article for introductory psychology teachers who might want to try some of them. Bernstein gratefully accepted and, with the help of a distinguished team of psychology teacher/scholars—Stephen Chew (Samford University), Erin Hardin (University of Tennessee), and Patricia Kowalski (University of San Diego)—began to create the lesson plans you will find in this offering. These plans are meant as suggestions, not prescriptions. If you find some of them attractive, by all means give them a try, but please feel free to adjust them in whatever way you think will work best for your course and your students. We would love to hear about how you used the plans and how well (or not so well) they worked. We would be especially interested in hearing about any formal or semi-formal evaluations you may have conducted. You can reach Doug Bernstein at douglas.bernstein@comcast.net. The first thing you will you will notice about the lesson plans is that they are focused on class discussions, not content lectures. Each week of classes could be devoted to student research on, and discussion of, a different myth or illusion about human behavior and mental processes. On a Monday-Wednesday-Friday class schedule, for example, students would come to class on Monday after collecting evidence in support of an assertion to be evaluated (e.g., that subliminal messages can influence buying decisions). The first part of the session would be devoted to students’ descriptions of the nature and source of the evidence they found. In the second part, the instructor would lead a discussion to help students identify the quality of that evidence (e.g. hearsay, anecdote, case study, correlational study, survey, controlled experiment, meta-analysis, etc.) and, given that quality, ask the students to consider alternative interpretations of the evidence. The students’ assignment for Wednesday would be to (a) find additional evidence for and against the alternative hypotheses that were raised on Monday, and (b) be prepared to discuss how that evidence can help evaluate alternative hypotheses. The students would then work as a group (or perhaps in small groups) to decide on and justify what seems to them to be the most reasonable conclusions given the available evidence. Friday can be devoted to an extension of that group work, but could also be reserved for a lecture/discussion designed to flesh out what else psychological scientists have discovered about the week’s topic and how that research is being applied to expand knowledge and/or promote human welfare. In the subliminal perception example, this might mean describing what priming studies have revealed about the impact of subliminal stimuli on judgment and the role that subliminal perceptual and cognitive processes play in the implicit association test, and in the study of prejudice. To prepare the students for this part of the unit, the instructor would make a weekly reading assignment from the textbook (in the present example, certain parts of the Sensation & Perception and/or Consciousness chapters). Friday would end with a reminder about the topic of the following week’s assignments and discussions. For Tuesday-Thursday classes, and for online courses, the unit organization would obviously have to be tweaked, but the emphasis on discussion over lecture and on students’ active involvement in evidence-gathering would remain. (3) an opportunity for students to reach informed conclusions based on scientific reasoning. 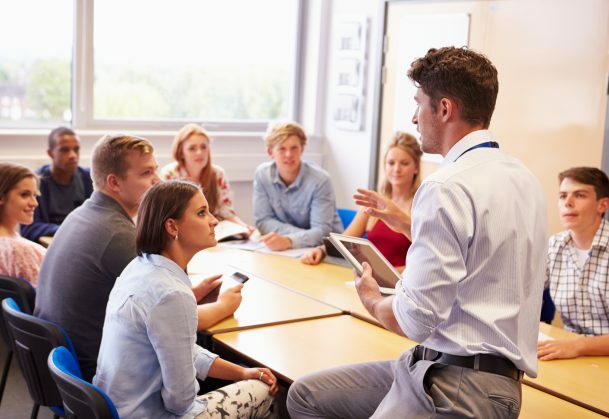 We expect that some lesson plan formats will be more appealing to you than others, depending on your teaching style and preferences, the structure of your course, and the characteristics of your students. Any of these formats can be used to address any of the myths and illusions, so we invite you to mix and match them as you wish. We will be posting additional lesson plans in the coming months. We invite you to suggest topics for new ones, and perhaps propose a lesson plan of your own. You can send your suggestions and lesson plan proposals to Doug Bernstein at douglas.bernstein@comcast.net. Brilliant. Rekindles my interest in teaching, especially with an interest in promoting thinking over “dumping” content. Please share details on how the course outcomes are transformed by this approach!